In the spirit of our event, getting people to understand how to practice sustainability in their daily lives, we also suggest you consider joining in the NCW EcoChallenge. Organized by Sustainable Wenatchee, it will be taking place May 6-20. It will cover all of Chelan and Douglas counties, and can be done individually or in teams of up to 15. For more information go to https://ncw.ecochallenge.org ~ this site will be updated in April, at that time you will be able to sign up. Thanks again for your interest in sustainability and your participation in our event through the years.  If you, or anyone you know, is interested in taking the lead in organizing the Leavenworth Earth Day Fair, don’t hesitate to contact me.